Raise your game & raise the bar at our Skills Clinic! With autumn just around the corner, it can only mean one thing…DODGEBALL season! 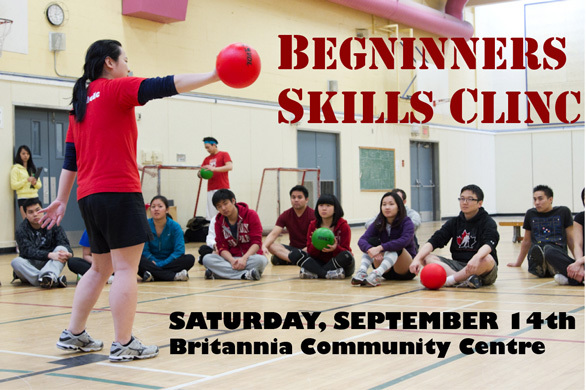 FALL back into dodgeball by raising your game, raising the bar, and raising your skills at VDL’s Beginners Skills Clinic. If your arm hurts after a night of throwing, or you seem to always miss catches just within your reach, or you want to improve your teamwork…our Skills Clinic can help you with all those, and turn you into a better player!